Mexican – Culinary Adventures, Inc.
Mexico’s rich and diverse culinary traditions include countless complex and vibrant dishes. 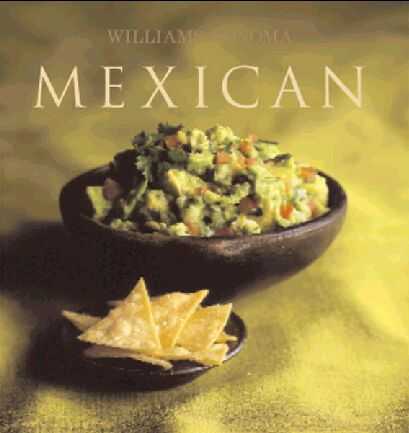 Williams-Sonoma’s Mexican offers more than 40 recipes, including well-loved classics and many other timeless dishes. Full color photographs of each dish help you decide which one to prepare, and each recipe is accompanied by a photographic side note that highlights a key ingredient or technique.